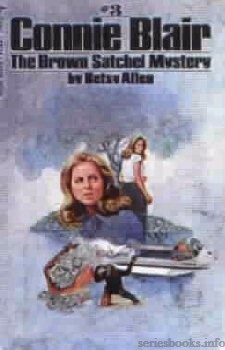 Connie Blair is the heroine in this series of 12 mystery novels for girls written by Betty Cavanna under the pseudonym Betsy Allen. Cavanna wrote volumes 1 through 11. 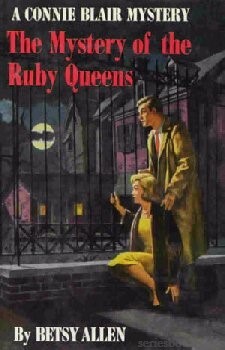 The author of volume 12, The Mystery of the Ruby Queens, was a friend of Betty Cavanna who wrote as "Ann Miller." 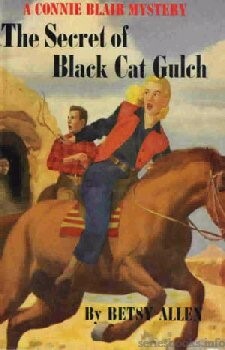 The series was published by Grosset & Dunlap between 1948 and 1958. 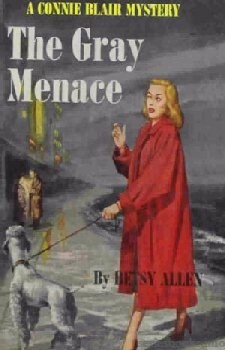 The books were initially published with dust jackets. 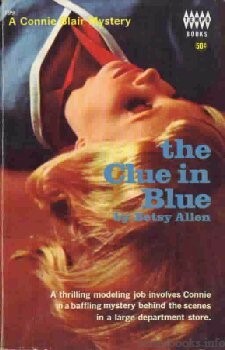 When the first four titles were republished in the early 1960s, the change was made to picture covers. 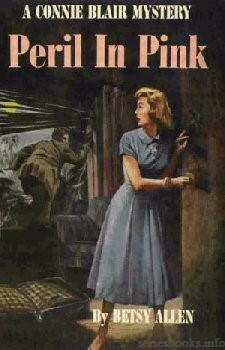 All twelve titles were published by Tempo (a Grosset & Dunlap imprint) as paperbacks in the 1960s with entirely new cover art. 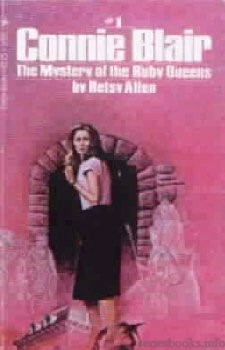 In 1978, three titles were republished by Tempo in paperback editions, again with new cover art. 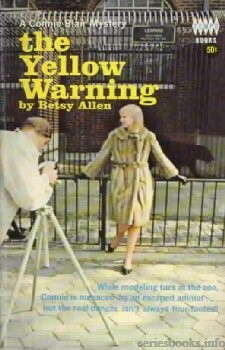 Foreign editions are known from Great Britain, Norway and Sweden. In the beginning, teenager Connie Blair models clothes at an exclusive department store in Philadelphia. She then becomes a secretary at an advertising firm, and works her way to a more important position. Her various jobs are the backdrops for the mysteries she encounters and solves. 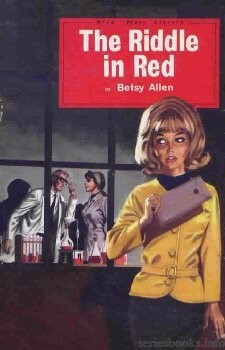 When Connie Blair takes a temporary job modeling glamorous clothes at Campion's in Philadelphia she becomes involved in a baffling mystery taking place behind the scenes of the great department store. It all starts with a missing fur beret. Connie's dashing young aunt, stylist for Campion's, is deeply concerned. The hat, a Paris original, is fabulously expensive. 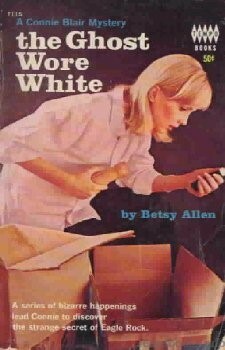 But what really worries Aunt Bet is that it is not the first article in her care to vanish mysteriously, only to reappear later even more mysteriously. Connie is faced with one unanswerable question after another. 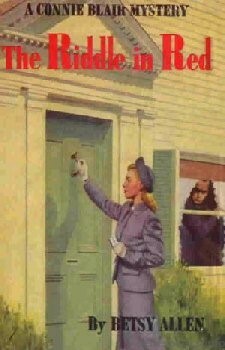 Who was the man in the woman's hat, that Sunday afternoon in the deserted store? Why was Grace, the little stock girl, sobbing in terror in the models' dressing room? 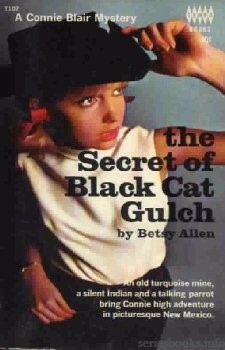 Most important of all, what unknown enemy is trying to cast the shadow of suspicion on Aunt Bet? Determined to find the culprit, Connie enlists the aid of Larry Stewart, the young display man, and finally comes face to face with a far more ruthless enemy than she had ever imagined in her wildest speculations. 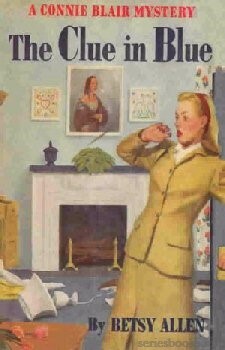 The reception desk of a high-powered advertising agency is a wonderful spot to see everything that goes on, as Connie Blair soon discovers. Nor is she at Reid and Renshaw's long before she senses big doings afoot. "Cosmetics by Cleo," Reid and Renshaw's biggest account, is about to bring out a new revolutionary product made from a closely guarded secret formula. Everyone at the agency is keyed to high pitch as the huge advertising campaign finally gets under way. 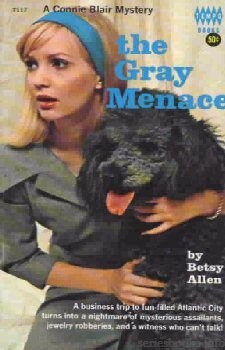 From the day the glamorous Cleo herself sweeps into the reception room, Connie is caught up in the general excitement. But soon mysterious developments threaten not only the success of the campaign but Cleo Marville herself. 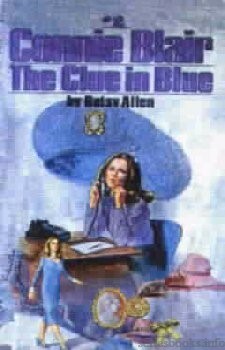 The climax comes when Cleo – and the secret formula – suddenly disappear. How Connie's lively intelligence and ingenuity rise to the challenge of one unanswerable question after another will keep the reader spellbound to the very last page of this gripping mystery story. 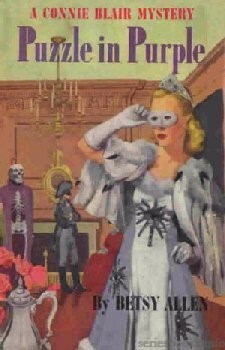 When Connie Blair goes to art school she enters an exciting new world in which glamour and mystery mingle. Connie expects to meet unusual and colorful personalities, and she is not disappointed. But she hasn't bargained for a skeleton named Adam who turns up in a purple cloak at the midwinter fancy dress ball and leaves his signature scrawled across the ceiling! From that moment on, tension mounts in the stately old Philadelphia mansion that houses the art school. Who is back of the debacle of the masked ball? Eric Payson, the shy, sensitive young painter whose mural was the only one not defaced? Roby Woodward, irresistible young dilettante who despises Eric for his ability? Fritz Bachman, sharp faced and sardonic, and determined to win the Fairchild Prize by fair means or foul? Sensing the impending catastrophe that later dwarfs the episode of the ball, Connie tries feverishly to fit into place the scattered pieces of the puzzle. 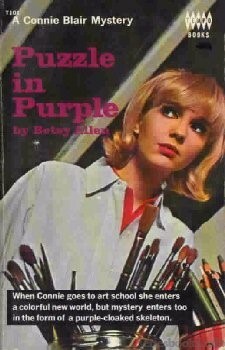 How she accomplishes this and what she sees when the picture finally becomes clear is told in a thrilling mystery story set against the fascinating background of art school. For Connie Blair adventure rings in every syllable of this wire which she receives from the advertising agency while on vacation in Meadowbrook. Indians, adobe, sagebrush – everything Connie has ever heard about New Mexico whirls in her delighted brain. On the trip down Connie and Georgia make friends with Jeff Chandler. Jeff, an enthusiastic young archaeologist, is on the track of a mysterious little man with a limp and a missing finger – who may hold the key to untold historical treasure. Connie throws herself wholeheartedly into Jeff's quest, and in doing so uncovers a modern mystery in ancient Taos. 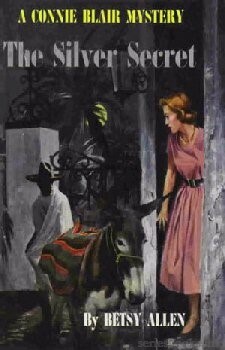 Why does Dolly Morgan, the ugly but fascinating innkeeper, behave so strangely? Who is trying to keep Connie and Jeff away from the abandoned mine – and why? How Connie solves Jeff's mystery as well as her own is told in a thrilling story of mystery and romance in colorful New Mexico. 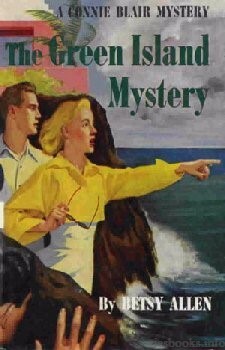 Mystery was the furthest thing from Connie's mind as she waved good-bye to her family and realized again that she was on her way to Bermuda – on business, with all expenses paid by her employer, Reid and Renshaw! 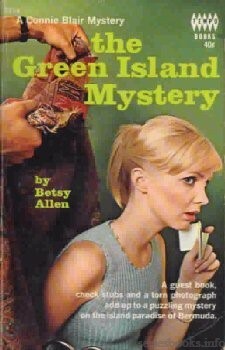 But Connie, running true to form, finds herself knee-deep in mystery long before the Queen of Bermuda docks. While on board, Connie meets David Scott and learns about a missing half of a manuscript that was left to him after his aunt's sudden death. Later, on the island paradise, Connie finds herself deluged with clues, clues, and more clues . 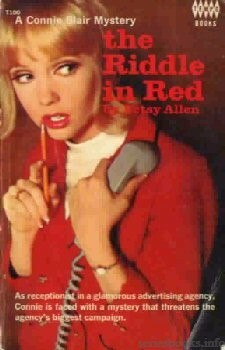 . . until the whole mystery is jumbled like a jigsaw puzzle. Connie is willing to believe almost anything about the eerie old mansion on top of Eagle Rock – but a violin-playing ghost is too much for even her vivid imagination. 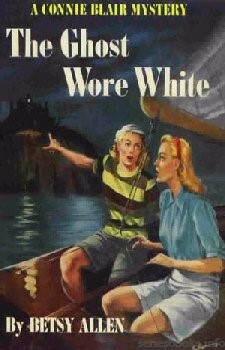 On vacation in aristocratic Newport, Rhode Island, Connie and her twin sister Kit are invited for a moonlight sail with their cousins Tom and Randy. Passing the long-deserted mansion, Connie and Randy are sure they see a strange light in a window, and Connie is determined to search the imposing old house the first chance she gets. 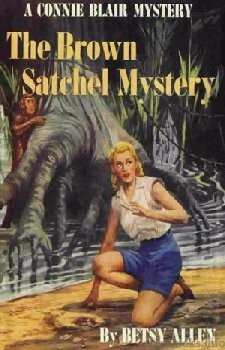 Her chance comes all too soon, and almost spells disaster for our intrepid sleuth. Only her quick wits and daring resourcefulness save her and her friends from something more dangerous than a musical ghost. Connie's suggestion of taking photographs of fur coats modeled in front of their living and breathing counterparts at the Philadelphia Zoo sounded, to the executives of Reid and Renshaw, like a very good idea. But who could have foreseen an escaped gorilla . 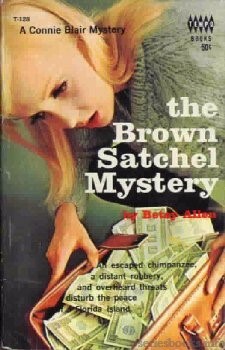 . . and the theft of an expensive mink coat? It's contest time at Atlantic City! – and Connie is there to cover the cooking contest for a Reid and Renshaw appliance account. Everything seems to be running fairly smoothly when Connie checks into the resort hotel, and she looks forward to an interesting stay. But later, when Connie finds a small purse and attempts to return it to its owner, she finds herself walking into a roomful of trouble. Attacked from behind, Connie has no idea who her mysterious assailant could be – but she has a hotel full of people to pick from. Everyone is under suspicion, from aged, aristocratic Miss Whitney; to Paul, the bellhop and part-time dog walker; to the chambermaid . . . and, for good measure, any one of a hundred other employees or guests whom she doesn't know! 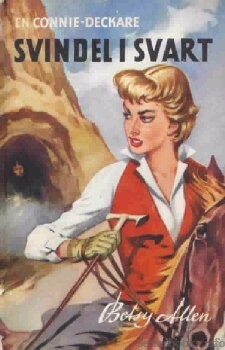 And, later, when a golden falcon brooch is missing, Connie herself is accused of stealing the piece. Determined to clear herself and, at the same time, find her mysterious attacker, Connie digs deeper into the case and comes up with something quite unexpected . . . a cache of stolen jewelry. One moment Connie Blair is a pretty girl playing happily on vacation. The next moment, Connie lies unconscious in a crumpled heap, collapsed upon a shell pile after being hit by an unknown assailant, and her mind is swirling downward into a black and bottomless pit from which there seems to be no return. After Connie awakens, she is left with the unanswered question of who did this to her – and why? Did Connie almost stumble across a secret which she was not supposed to discover? 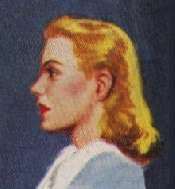 What was the relation between the New York bank robbery, Mr. Sterling Witherspoon or possibly some other unsuspected guest at the club, the itinerant musicians, and her own strange attack in the cove? Connie had to find out, before something even more terrible happened! Connie Blair shivered in anticipation as she boarded the plane that would take her to the Caribbean, never guessing that soon she would shiver in fright. 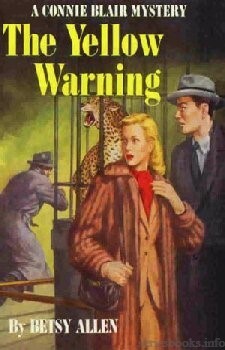 But once again what began as a business trip was to become surrounded with danger and intrigue. 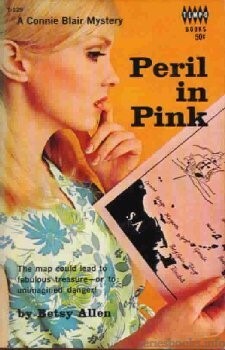 When Mike Ingersoll first showed her the map, Connie was caught up in the excitement of a search for sunken treasure. It seemed little more than an inconvenience when her traveling bag and Mike's were switched – until she discovered that she had the map, and someone else knew it! How Connie pits all her mystery-solving skills against a sinister modern-day pirate makes a fast-paced tale of suspense and excitement. Connie felt increasing alarm. Where was Kit? Had she been kidnapped or –. Connie's mind stopped short of envisioning any other possibility, but for the first time since she had become involved in this mystery she was frightened – not just plain scared as she had been in the cemetery, but sick and cold with fear. 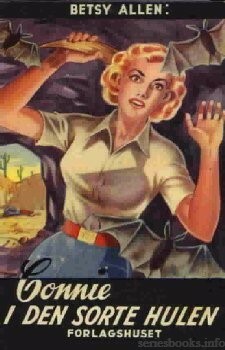 It was quite clear that Kit had disappeared because she had been mistaken for Connie. Kit, who knew little or nothing about the silver theft. Kit, who only wanted to have a little fun on her vacation, and who loathed anything even vaguely mysterious, who, in spite of her resemblance to Connie, was as different from her twin as day is from night. 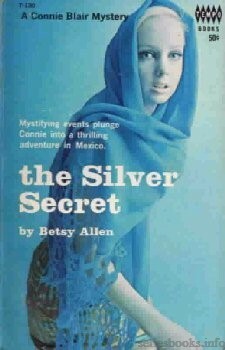 With Kit in terrible danger, the Silver Secret became more than a puzzling mystery. Solving it now was a matter of life or death! In the darkness beyond, Connie thought she could detect movements, imagined she could hear running footsteps, but she couldn't be sure. With every muscle taut, she listened intently. Yes, she did hear something, heavy breathing, just below her. But it seemed to come – suddenly rough hands gripped her ankles and her feet were torn from their teetering perch. Her hands felt for a hold she couldn't find, a crevice to cling to, a momentary block against the impending disaster that made her throat constrict and her heart pump wildly. In one last moment of consciousness she thought frantically, "I may be killed!"